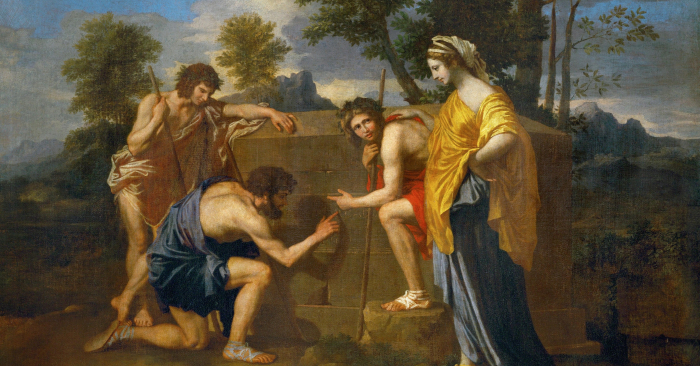 Et in Arcadia ego, sometimes called “The Arcadian Shepherds,” is a painting by classical French Baroque artist Nicolas Poussin. He was a huge inspiration upon the generation of French painters that followed in his wake. Jacques-Louis David, Jean-Auguste-Dominique Ingres, and Paul Cézanne were among them. Et in Arcadia ego is housed at the Louvre Museum in Paris, France. The artwork contains a revelation, and as such was, is, and will remain one of the most interesting and important artworks of its genre. Legend has it that Arcadia was a peaceful land, isolated from the mundanities of life on earth: a figurative paradise. The people of Arcadia lived happily, due, in part, to their ignorance of death. But who is the “I” that the inscription speaks of? In Western culture, the image of the shepherd is a totem for faith and piety. Thus, the three shepherds in the painting implicitly represent Arcadia, the heavenly realm. They appear surprised and even shocked by the writing on the stone. In their heavenly realm, the one thing of which they had no experience, and therefore the only thing that had the power to perplex and confuse, was death itself. It is said that the “I” of the inscription refers to none other than the God of Death. Death is often associated with sorrow and loss, but the shepherds demonstrate only surprise. Their naive response to the presence of death insinuates their lack of understanding. One shepherd turns toward the woman, as if to seek her advice. Meanwhile, the woman appears calm and thoughtful. She is not bedecked in jewelry, as the depictions of goddesses often were, but the woman allegedly represents the goddess of Arcadia. Her noble posture, costume, and the reverence she receives from the shepherds gives her status away. The goddess is the ruler of this happy paradise. But the presence of death is strange, even to her: she contemplates in silence. Within the inscription, “Even in Arcadia, I exist,” lies the revelation: death would even appear in Arcadian paradise. But if Death has no mortal body, who carved the message on the stone? Why was the goddess of Arcadia so bemused? And how could death appear in such a paradise, the assumed home of immortal souls? All of these questions and more are imbued in the painting. History, faith, and science each offer their own deconstructions of the mystery of the presence of death in Poussin’s painting. What does history have to say? Arcadia was said to belong to the Golden Age of Greek mythology according to Hesiod’s Five Ages of Man. The Golden Age was the first, the ideal, and also the peak of humanity’s existence. The ages that followed were named Silver, Bronze, Heroic, and lastly Iron. 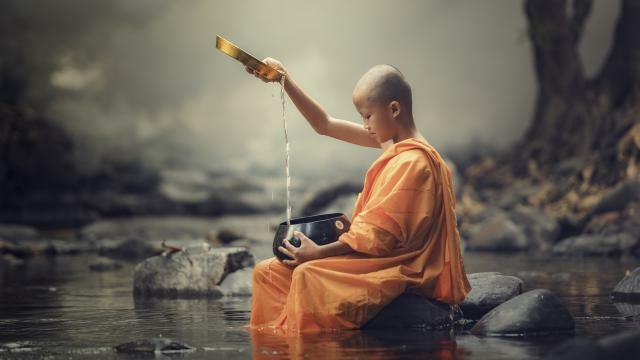 This progression through the designated ages shares common themes with Eastern philosophy, and Buddhism in particular. Buddhism cites a similar universal cycle that progresses through birth, formation, degradation, and finally destruction: the “life cycle” of the universe. Destruction implies an eventual end to all things. If all things end, then what becomes of paradise? Would the gods cease to exist? 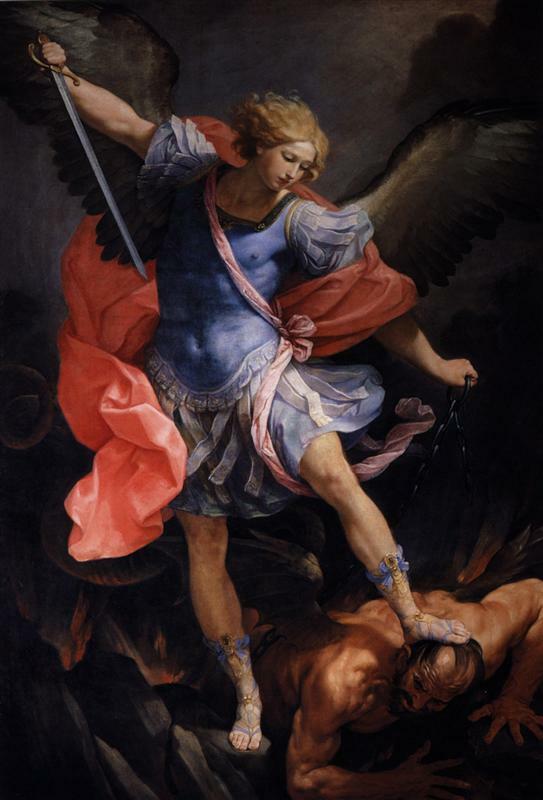 Legend also tells of a battle in heaven, a battle vividly depicted in John Milton’s epic poem Paradise Lost and also in the prophecy of the Book of Revelation. 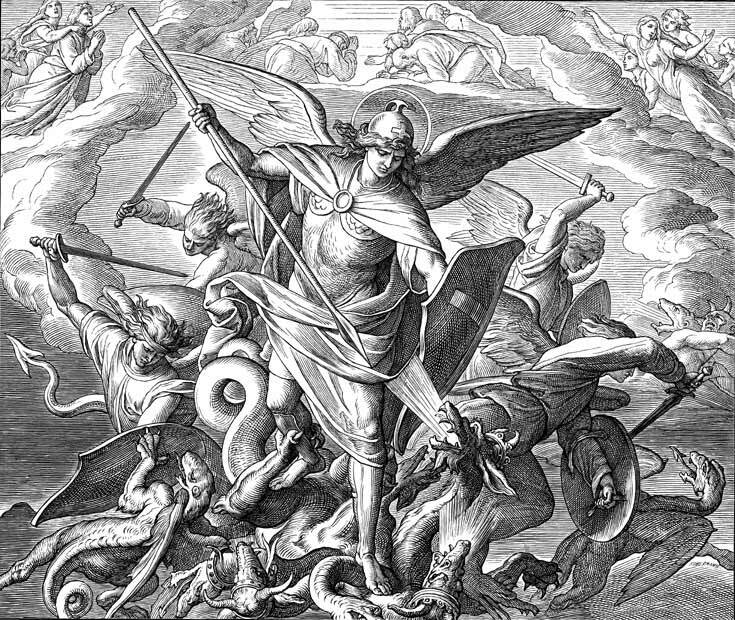 It was written in the Book of Revelation that a red dragon would lure the angels to follow in its path and that one third of the stars in the sky would fall to Earth. Stars are a universal, culturally symbolic image and are used to represent the gods. The stars are also believed to be the embodiment of heavenly powers. 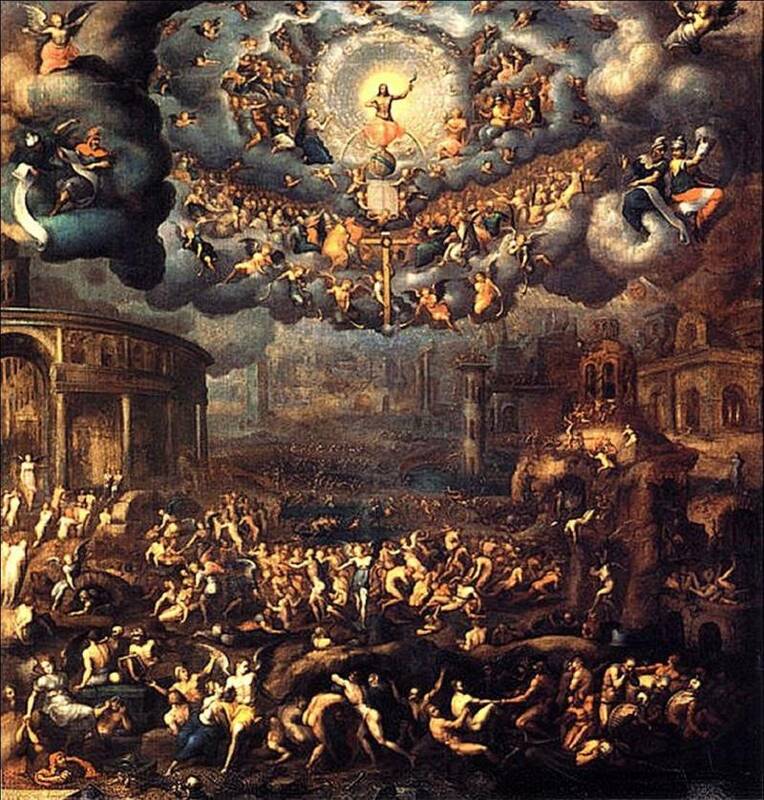 If one third of the stars in the sky were to fall to Earth, are we to decipher a symbolic meaning, that there are too many corrupt angels in heaven? Would it signify the demise of paradise? From the perspective of science, the existence of the Earth, a galaxy, and even the entire universe, implies infinitude. But we have all witnessed the discovery of dead planets and mysterious, destructive black holes. 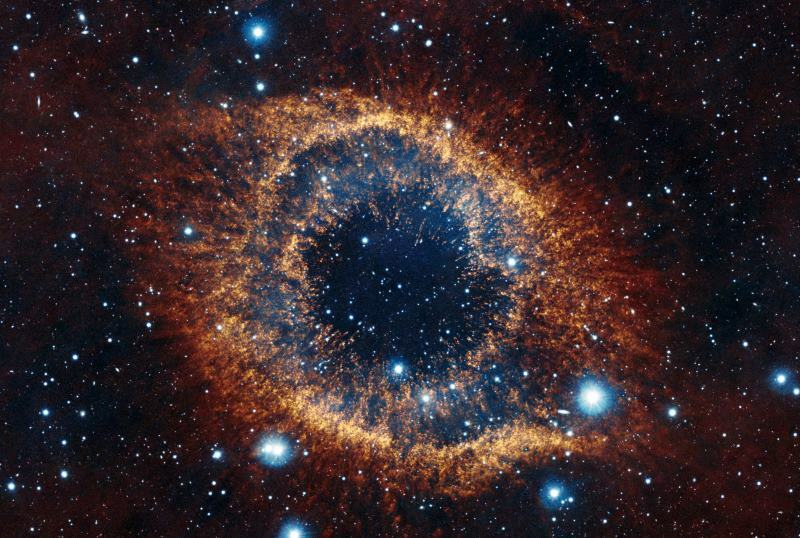 If the universe was born but universal space is infinite, what will be the end of it? Is ultimate destruction even possible? 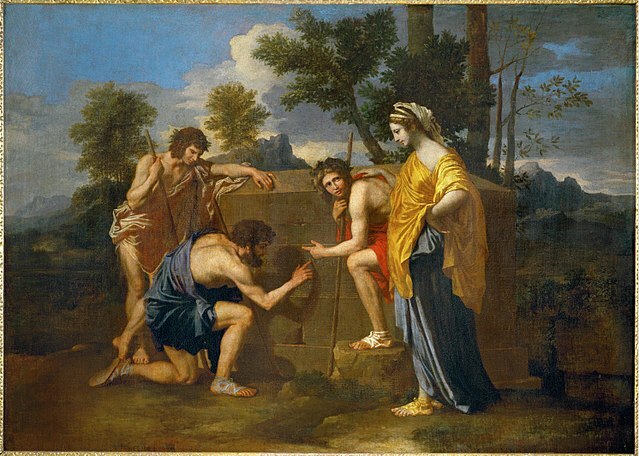 With the revelatory inscription, “Even in Arcadia, I exist,” was the artist Nicolas Poussin representing the mystery that has possessed us through the ages? 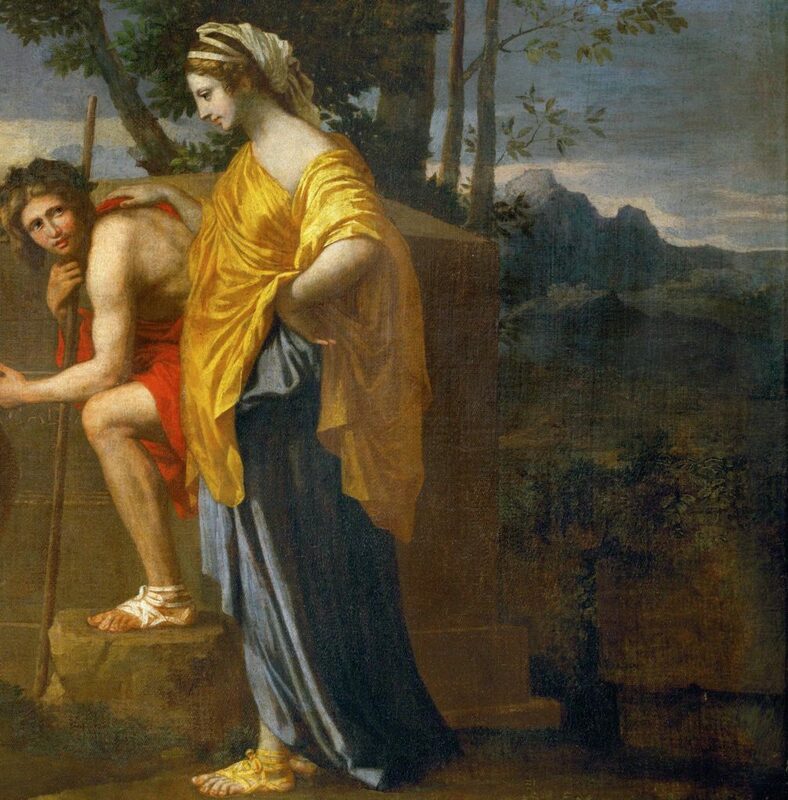 History, faith, and science may offer both correlations and conflicting messages, but the faces of Poussin’s shepherds speak the mystery on everyone’s minds, the unsolved mystery of a complex relationship between life, death, and the myriad forces in between.